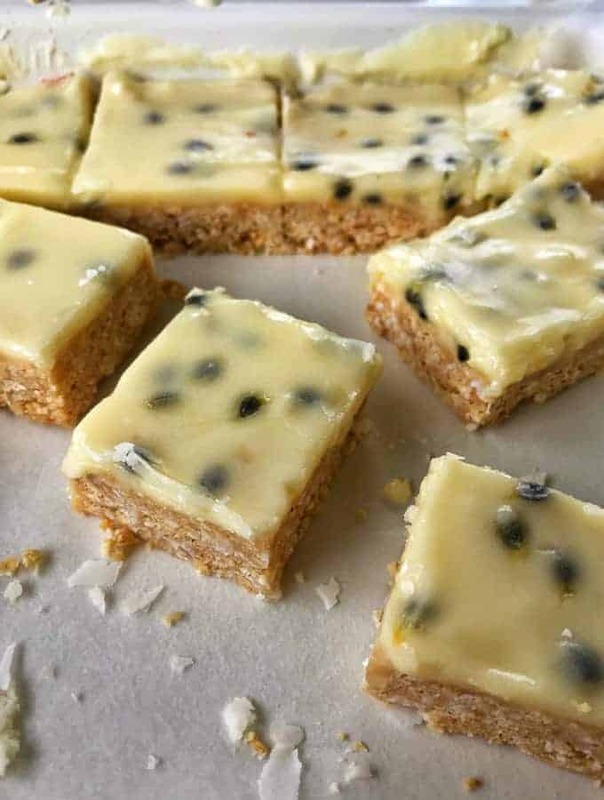 This no-bake passionfruit slice is one of my most popular recipes ever. 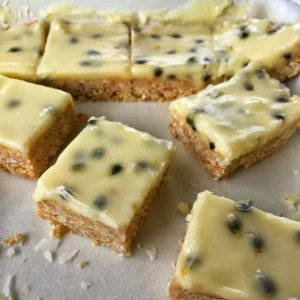 With a simple biscuit base and a layer of smooth passionfruit icing on top it is the perfect sweet treat! 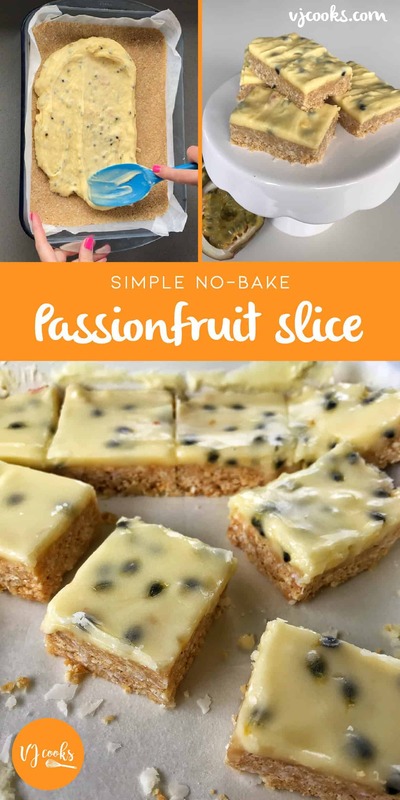 I’m so excited to share with you my recipe for Passionfruit Slice! As the weather starts to warm up, having some sweet and fruity baking is essential. 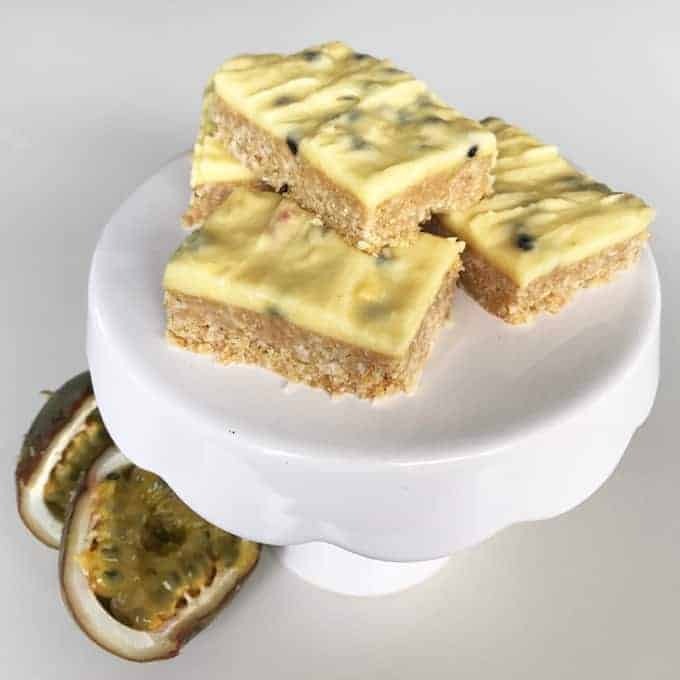 This passionfruit slice is a nice alternative if you want a break from chocolate or caramel slice. 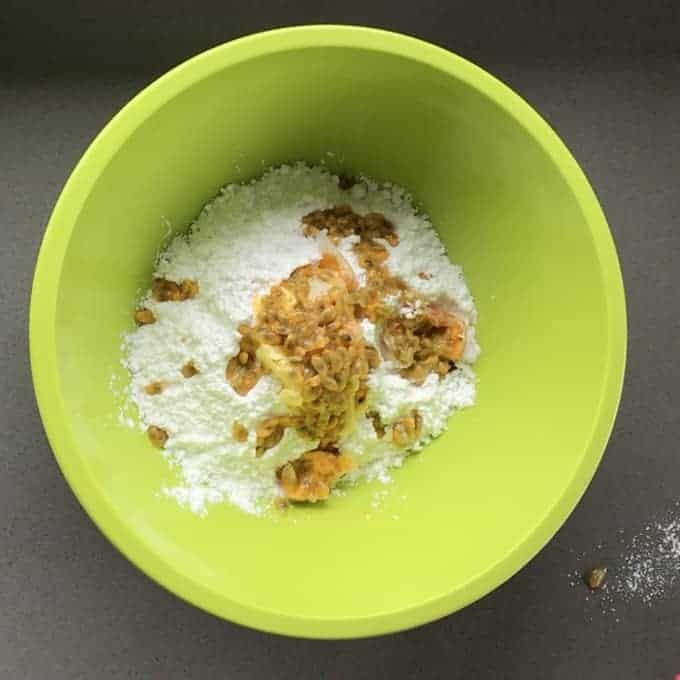 This recipe would be a great one to make with your kids as it does not require cooking, so they can have a fun time helping you mix and pour the ingredients! The recipe is relatively simple, and doesn’t require any baking as each layer is set in the fridge. The base is made of delicious coconut, butter, condensed milk and milk arrowroot biscuits. If you don’t have arrowroot biscuits, any other plain biscuit will do! If you can’t get your hands on fresh Passionfruit or they are out of season you could substitute it for passionfruit plus bought in a jar or bottle from the supermarket. This is a perfect treat to have with a cup of tea and your friends will love it too. Pour crushed biscuits, coconut, butter and condensed milk into a bowl then mix well to combine. 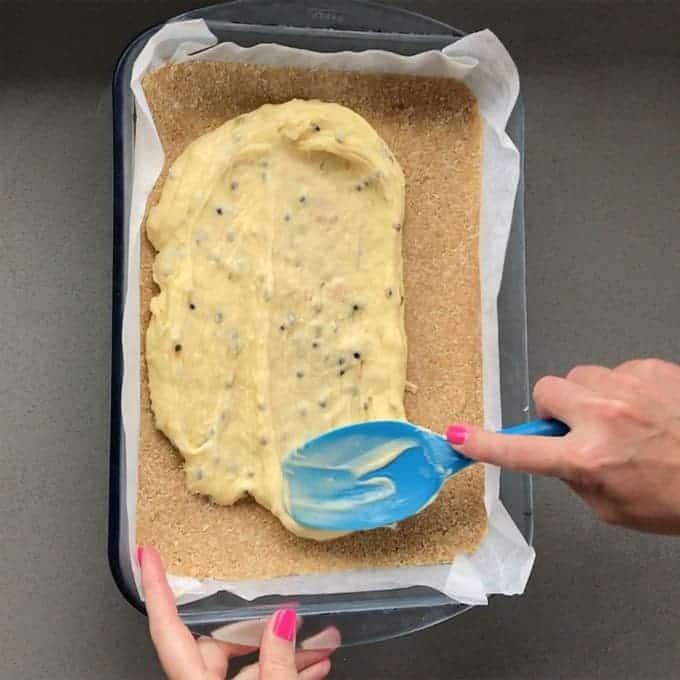 Line a tray with baking paper then pour in biscuit mixture, push to edges and press down with your hands. Smooth with the back of a metal spoon. Chill in refrigerator while you make the icing. Add icing sugar, butter and passionfruit pulp to a bowl, stir then whisk until smooth. Once set chop into slices and enjoy. Store this slice in the fridge.